I didn’t know a thing about it until 1 year ago. Wade has had this problem for about 5 years or more. I was constantly taking him to Doctors and they would give him anti-biotic medication. I knew in my own heart there was a problem but I wasn’t getting any answers. Then I met Rachel and Donna who visit my son's school regularly. 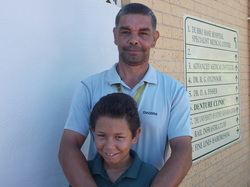 They are teachers and work with the Hearing Support Team in Dubbo. Rachel’s son currently has the same problem and they came to me to explain everything about Wade's problem with his ears. I learnt that it is very important to keep Wade’s ears dry- no water at all to get in. He has to blow his nose regularly and keep his hands clean. This helps manage his condition. Now Wade is doing a lot better since he has had the bones in his ear and hole in the eardrum fixed. This is his 2nd ear operation. He has many more to go. Update September 2012- Wades right ear is healthy and working as well as it can under the circumstances. He is about to be fitted for a hearing aid in this ear. After at least 10 appointments since July of having his LEFT ear canal vacuumed, it is healthy enough to have the hole in the eardrum patched. Wade having pus vacuumed from his ear. It was painful and he was very brave. When this ear is healthy enough he will have the hole patched in the eardrum as well. 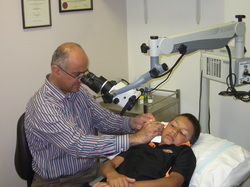 His Ear Specialist, Dr Ridha, has been a fantastic support to us. 3 years on, Wade is thriving. 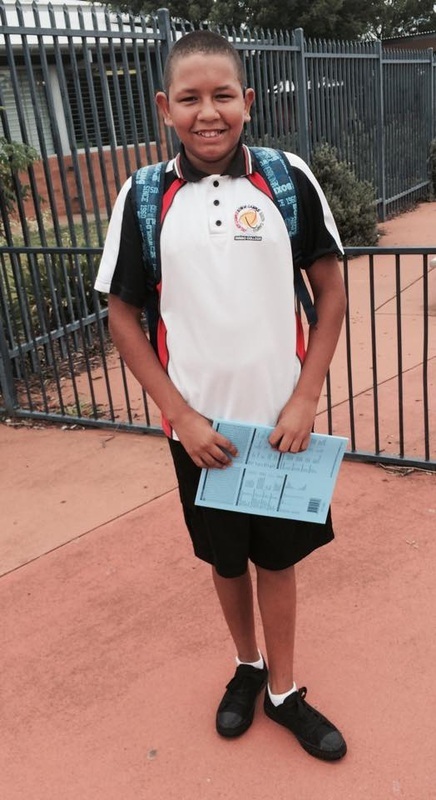 He has now been selected to represent his new school where he starts high-school as a member of the SRC. Great work Wade.